about this book: 17th century high seas adventure sails the gauntlet of the Barbary coast in this seagoing thriller. A three-thousand-year-old hatred searches for René. Facing Dutch privateers, Barbary pirates, and the ocean's fury, René fights his way to an inevitable confrontation with an unknown enemy who, if unchecked, will recreate a world of slaves drenched in blood. 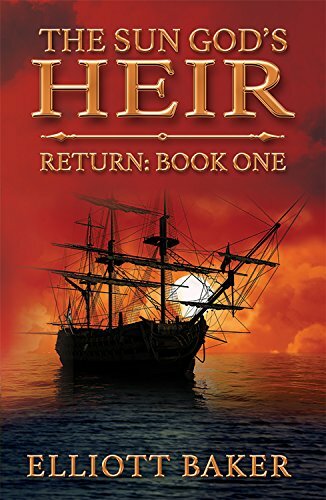 The Sun God's Heir: Return is a book about adventure, about inclusion and resisting the forces that would make slaves of all. It has strong women characters and is true to its historical nature. My intent was to give readers a break from their everyday pirates with the very real rogues from the 17th century. Filled with historical characters, the locales and historical movements are real and researched, from Louis XIV to the despot in Morocco. The Sun God's Heir:Return might keep you up, but you'll feel rested when you return to today's world. Board now.